What intellectual or moral use does it have to think about a writer’s life? Supposing mere fame and fortune are transitory vicarious interests, is it at the same time unrewarding to follow a writer through some of his or her days? We have the work, the text to read and academically treat, to intertextually reference in books, films or even YouTube ads, the words and ideas there at the beginning and at the end. Take Shakespeare, as many have done, as a prime example of why we can supposedly ignore what writers get up to. Little to nothing is known about the Bard as a biological and social fact in the world, about his life and career. What we do have from him, though, in terms of his artistic production, is often seen as all one could possibly wish for. And yet, there is something inextricably peculiar in arguing that not having that which we do not possess in the first place, whatever our opinion on the matter, makes us just rich enough. An absolute rejection of the unknown does not ultimately hold much persuasive power. The impetus to know about a writer’s life becomes all the stronger when, rather than being unlikely to ever know more, we are instead faced with systematic attempts to obscure. The University of Toronto’s Slavic scholar Peter Sekirin, in compiling and translating around one hundred, rare first-hand accounts of Fyodor Mikhailovich Dostoevsky’s life and career, is driven to allow as many illuminating voices to be heard as were suppressed during the Soviet Union. Dostoevsky started well enough, from the later, official point of view. He debuted with the sentimental, socially conscious novel Poor Folk (1846), became a member of the Petrashevsky socialist circle, and suffered for his politics during his subsequent Siberian imprisonment and enforced military service. What the Soviets could not countenance, however, was the writer’s infuriating, post-Siberian right-wing turn, the erstwhile socialist dreamer becoming an ardent royalist and defender of personal responsibility. Thus, finding out about Dostoevsky became harder than ever during the Soviet era. The official school syllabus mentioned him in scant terms and academics were hampered by the so-called ‘special funds’: library archives requiring official, often denied, approval to access, and from which nothing could be published. Sekirin has painstakingly managed to trace much of this previously restricted material. Impressively, less than ten percent of his compilation has been previously published in English, with nearly 80 per cent of it dating from the years 1881-1935. Although worldwide Dostoevsky studies can draw on a bibliography of thousands of items, including the monumental, five-volume biography written by Joseph Frank, it is undoubtedly to the field’s benefit that more people who actually knew, lived and worked with Dostoevsky can now be heard. Although there are no big surprises, the overall effect of The Dostoevsky Archive is to present us with the man as he actually was, as witnessed by his contemporaries. Looking at Dostoevsky’s writing, he depicts many characters who feel the shame, the psychological denigrations, of incurring debt and of coveting others’ wealth. Money was always an issue for the writer, and often for his characters. On the other hand, many others highlight the way the writer, harried by deadlines, chronic debt, fatigue and debilitating epileptic attacks, could suddenly switch to become kind, warm, even gently humorous. The impression created is of a man primarily living in the moment, with a high degree of sensitivity. It is interesting to extrapolate this to Raskolnikov, who dreams about murder as an act of supreme will, while bungling the actual killing, his senses continually assaulted by the grotesque vitality of the city around him, before experiencing a wholly unexpected spiritual rebirth in Crime and Punishment’s epilogue. A once-and-for-all act is nothing of the kind; the present always intervenes to shape psychology, morality and the wider world. Dostoevsky went to Omsk maximum security prison, where he was surrounded for four years by some of Russia’s worst criminals: rapists, child murderers, patricides, dangerous, even psychotic men. The pre-eminent literary effect of this was the Notes from the House of the Dead (1861), which contains many passages of acute psychological insight and empathy. 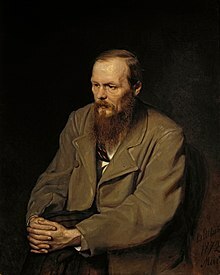 Dostoevsky came to the view that a divine spark burned in most people, even those feared and shut away by society, what he told his friend Apollon Maikov (1821-1897) to be “the most important thing in the world…without which we cannot live, otherwise people will eat each other with their materialistic development.” Yet his imprisonment also gave his post-Siberian work a predilection to focus on criminal plots and extreme behaviour, now constituting a large part of what is popularly understood to be Dostoevskian. There is a well-achieved sense in The Dostoevsky Archive of the author’s growth from obscure young man to literary celebrity, who came to be seen, in the last years of his life, as a Christian prophet. The firsthand accounts of Dostoevsky as a young man frequently express curiosity and admiration for the pale, shy, socially clumsy author. Later, those who knew Dostoevsky after his imprisonment typically thought of him not simply as a writer, but as a political convict. Many were thus frightened or impressed by him after the 1850s, with some remarking on his habit, in heated political conversation, of lifting his trouser legs to show the scars left by his prison shackles. This, he would say, is what gives me the right to say what I do about Russia and its destiny. Lastly, in the 1870s and right up to his death in 1881, Dostoevsky took on a prophet’s mantle. His public speech about Pushkin as the father of Russian literature in 1880, the publication of The Brothers Karamazov during this same period and his patriotic, Christian, conservative views as expressed in A Writer’s Diary were often rapturously received. The tone of the firsthand accounts relating to this period is typically respectful and awed: here was a man pointing to the moral supremacy of Russia over Europe, its Christian roots and the importance of the Orthodox Church, while vehemently attacking the Russian nihilist and socialist movements. 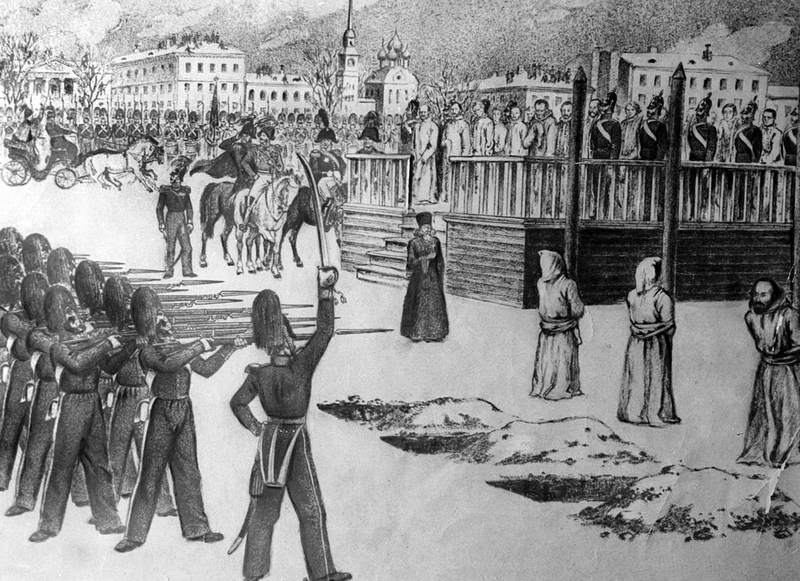 His funeral, in 1881, was reportedly attended by around 50,000 mourners: the biggest public gathering of its kind in Russia in the nineteenth century. The Dostoevsky Archive does not focus on contemporary impressions of Dostoevsky’s works, but rather on the man himself. One notable, if brief, exception is a quotation from a letter by the composer Pyotr Ilyich Tchaikovsky (1840-1893), who describes his feelings on reading a story about a woman struck down by the grief of losing all her children in The Brothers Karamazov: “When I read this, the woman’s words and her hopeless agony after the death of her last child, I wept as I have never wept over a book before. It has made the deepest impression on me…” This letter stands out in the compilation, as it shows the kind of empathetic power Dostoevsky often has over his readers. More emphasis on how his contemporaries read Dostoevsky’s novels and stories, combined with how they reacted to him personally, would not have made this a weaker book. Within the scope he has set himself, however, Sekirin has selected a satisfying range of firsthand accounts, each one bringing something new. Sekirin is also good at supplying pertinent, detailed support. He writes a general preface and each of the chapter entries, includes Igor Volgin’s ‘History of the Dostoevsky Archive in Russia’, appends a forty page chronology of Dostoevsky’s life, a dictionary of people mentioned, translations and abbreviations of Russian periodical titles, an annotated bibliography and a detailed index. Little more could have been done to counter the Soviets’ deadening hand. The Dostoevsky Archive is the product of a liberal impulse: to publish information is instinctively felt as one of the best ways to aid our critical judgment. It is good at presenting Dostoevsky from many different perspectives and furthermore, at generating a sense of the moral and intellectual questions that he and many other Russians took very seriously at the time. It is an indispensable addition for any student of Dostoevsky. Peter Sekirin: The Dostoevsky Archive. Jefferson, North Carolina, McFarland (Reprint Edition), 2012, 366 pp. Andre van Loon reviews literary fiction and biography for publications including Review31, Litro, The London Magazine and We Love This Book. Andre graduated from the University of Edinburgh with an MA (Joint Honours) in English Literature & Russian Studies. He lives in London and reads as much as he can about Dostoevsky and the Russian 19th century.